Heat one tbs of oil in a pan and add cumin seeds. once brown, add chopped onion on sim but do not let them turn brown. 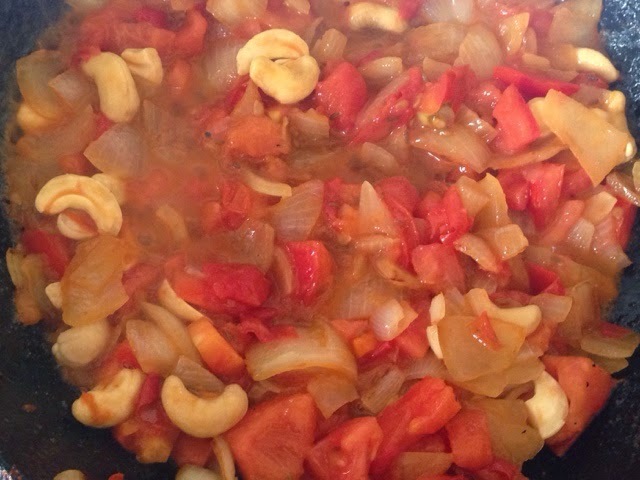 Add chopped tomatoes, cordomom and soaked cashew. 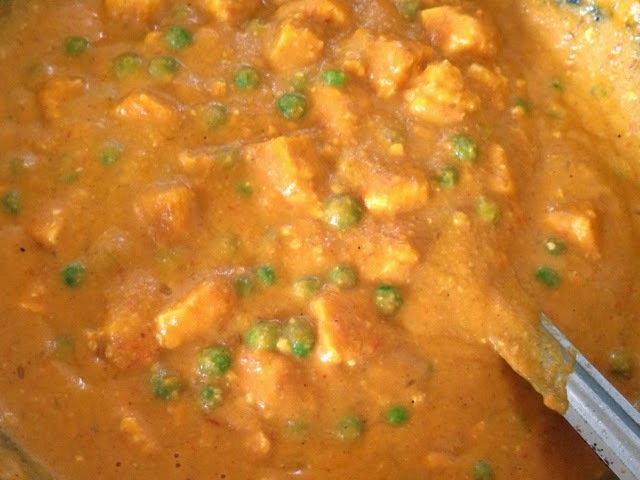 cover till tender and cooked. switch off the gas and let it cool completely. 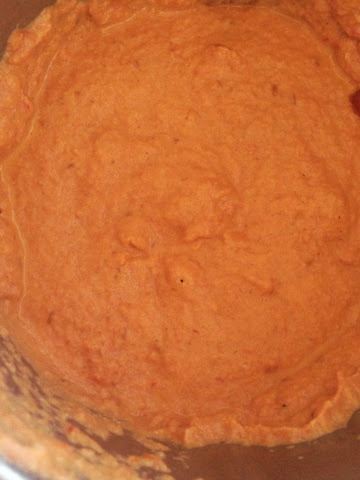 Grind the mixture to a smooth paste and keep aside. 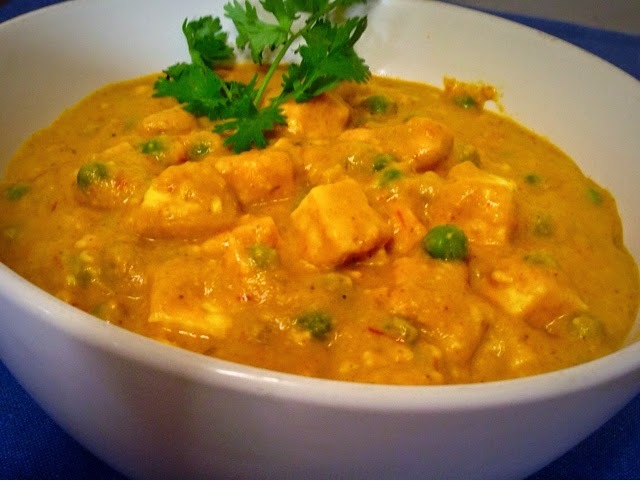 In the meantime boil peas till tender switch off the gas and soak paneer cubes in hot water until use. Heat one 1 tbs of oil in a heavy bottomed pan. 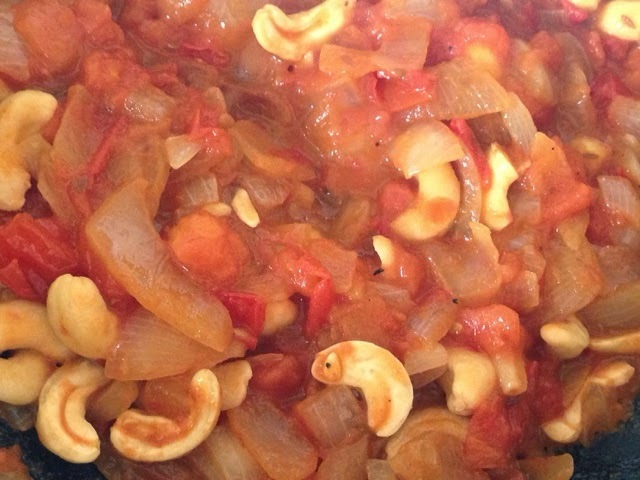 Add onion tomato paste and cook until start leaving sides of pan. 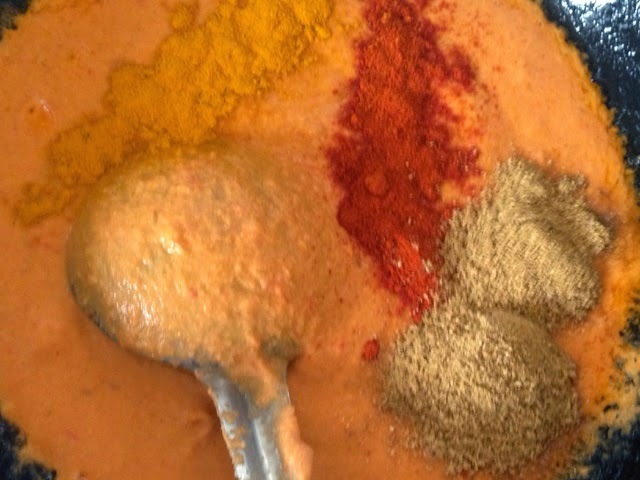 Add turmeric powder, coriender powder, red chilli powder and salt. Mix well and cook more for a minute. 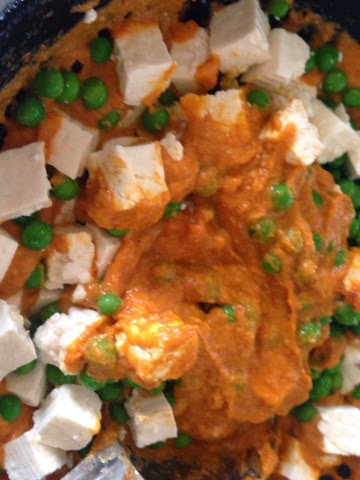 Add peas and paneer cubes mix well and add milk. adjust the salt and water consistency. 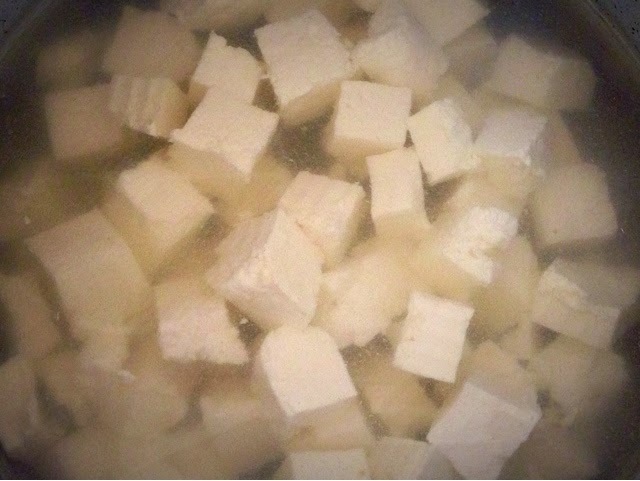 Add sugar, garam massla and kasturi methi and boil for 2-4 mins. switch off the gas, Garnish with coriender leaves. 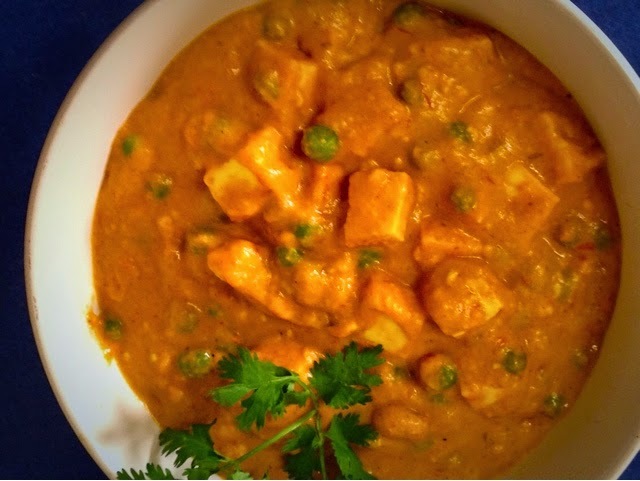 serve hot with rotis, naan or rice. please leave you feed back if you like the recepi or have any questions.